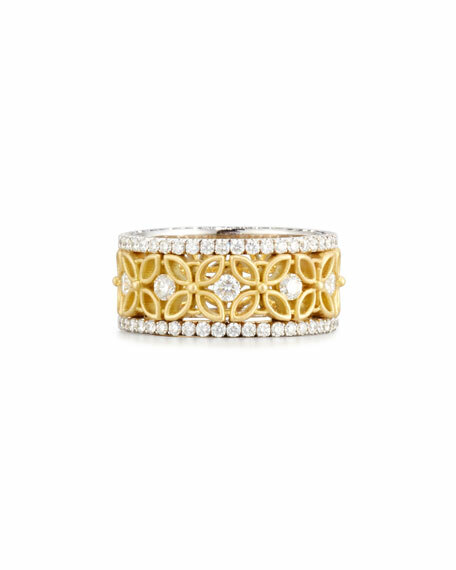 Jack Kelege ring with matte-finish floral filigree design. 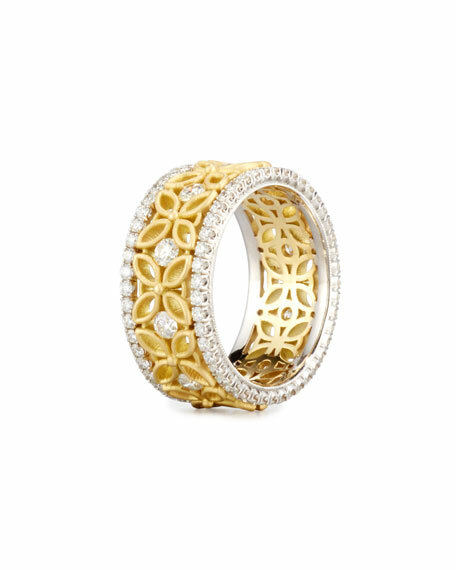 18-karat white and matte yellow gold. Pavè white diamonds trim outer edges. Round diamonds set between floral stations. 1.42 total diamond carat weight.